'Turkey from the Terraces' tells stories about Turkish culture, politics, history, and identity through football. Football often reflects life in all its romance and drudgery, beauty and pain. This is particularly apparent in football-mad Turkey. You don't bother to ask whether someone likes football in Turkey, you just ask which team they support. Football talk is constant in Turkey; whether through the vast, fevered football media, or everyday conversation. Turkish fans are among the most passionate in the world. The power and popularity of football has meant that the Turkish authorities have long feared and revered the sport, but football in Turkey has never been more important than now, under the ruling AK Party (AKP). The conservative, Islamic AKP has lavished unprecedented sums of money and attention on the sport since coming to power in 2002, using football as a way to build and shore up domestic popularity and support. Football has become one of the most important networks of power in Turkey. Meanwhile, opposition supporters have challenged the government and many activists have sought to change Turkish society through football. 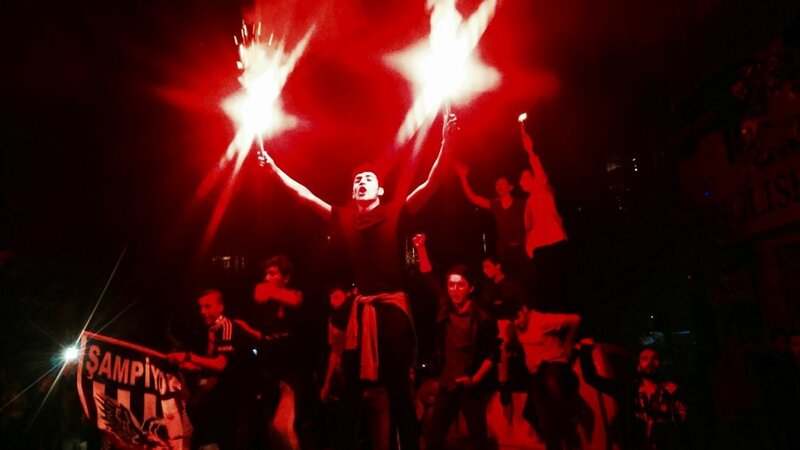 The 'beautiful game' has become a battleground of identity and politics in Turkey: a site of control, ambition, and rebellion. My book 'The Passion: Football and the Story of Modern Turkey' was published by I.B.Tauris in 2018. I travelled throughout Turkey over two football seasons to tell the stories of a dizzying cast of colourful characters, including: ultras in revolt, power-crazed mayors, Kurdish nationalists, women fighting for their rights, Islamists battling over the state, football icons fallen from grace, Turkish ultranationalists, refugees trying to make a life, gay referees and LGBT teams, and Turkey's charismatic and polarising president (and ex-semi-professional footballer) Recep Tayyip Erdogan. As Turkey changes at an-often bewildering pace, football helps understand its past, present, and future, and is a way to make sense of this vital and enthralling country. I am a journalist and author from the UK, now based in Istanbul. I have written for Al Jazeera English, Delayed Gratification, Foreign Policy, the Guardian, History Today, Huffington Post, Irish Times, LA Review of Books, Middle East Eye, OZY, the New Republic, the New York Times, and the Sunday Herald, among others.